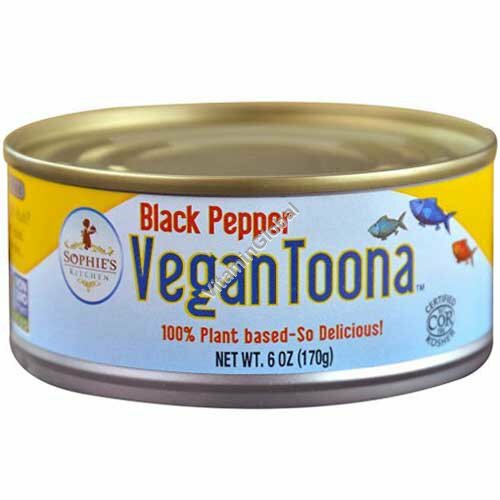 Vegan Toona by Sophie's Kitchen is the perfect fish-free way to enjoy the taste of the sea in your favorite meals! It makes great tuna salads, casseroles, and much more. Ingredients: Pea protein, pea starch, water, olive oil, black pepper, potato starch, sea salt, seaweed powder, organic agave nectar, organic apple cider vinegar, konjac powder, ginger.